After just 2 months of photography training the new teenagers of FairMail Morocco organized their first ever photography exhibition in Essaouira. 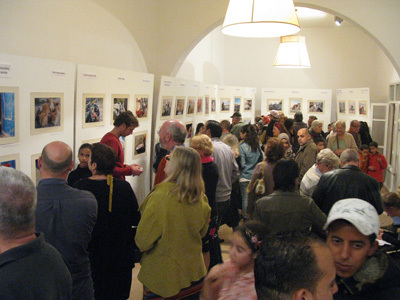 With the theme of the exhibition being “My Essaouira” we asked the teenagers to take pictures of what was the most important thing in their daily lives in Essaouira. This way giving the visitors a unique inside view into the lives of the teenagers and what is important for them. Chaima for example took great pictures of the fishing port where her father and brother earn the family income by buying and selling sardines. The port also plays an important role for Monim as he cleans the fishing boats before they are painted and gives the money to his mother as his father had a deadly accident several years ago. Other teenagers like Ibtissam, Hajiba and Badre choose to document the important work that their associations do to help teenagers like them to stay in school, have decent food to eat, clothes to wear and lead a tranquil life. The most popular pictures where the ones taken of the cats living in the port and in the ancient medina, taken by Joued and Fatimezahra respectively. In total the teenagers sold 72 pictures to the visitors. 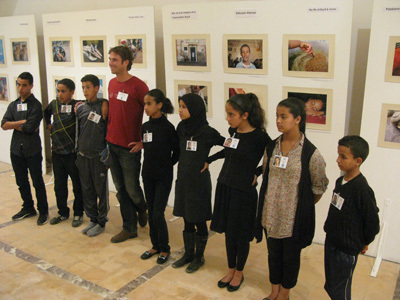 As during the exhibition 100% of the earnings went directly into the teenager’s private education fund they earned 10.000 dirham (about 900 euro) to invest in their futures. The highlight for the teenagers was presenting themselves to the 100 people who attended the opening night and speaking in public for the first time. Which we think they did great, leaving the visitors very impressed. Equally impressive for the teenagers was when the national television station 2M showed up to interview four of the teenagers when making an item about FairMail’s pilot project in Morocco. 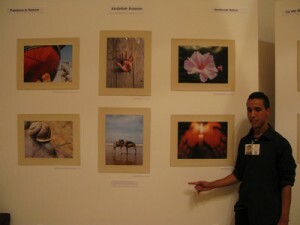 An online display of the exhibition pictures can be found here. On-line viewing of the Moroccan TVcan be found here. The item about FairMail starts after 23 minutes and 45 seconds.